Following on from part 1 of our family day out to Woburn Safari Park where I showed you photographs of the road safari, here’s part 2 to tell you all about the foot safari! You can drive around the road safari at Woburn as many times as you like, which is great. (I’ve been to another safari park where you are limited to just one round. I was less than impressed!) After one lap, we decided to go and park up. It was lunchtime, we were all a bit peckish and decided to stop by Safari Restaurant to grab a bite to eat. There’s a large outdoor dining area, which was empty on this day because it was freeeeezing! Ordinarily on days out, we would take a picnic lunch, but this was quite a last minute decision so we bought food in the restaurant. There was a selection of hot and cold food, but it was quite pricey! The food was fine, but next time we would bring our own. We then popped into the gift shop to buy a fridge magnet which is always the souvenir we buy when we go on a family day out! After lunch and “shopping” we took a wander around. A lot has changed since our last visit about 5 or 6 years before! There was an outdoor theatre for Birds in Action, but it was so cold we didn’t want to sit outside and wait for it to start!! We then walked around the Desert Springs enclosure where we could see one of our favourite critters – meerkats! Rainbow Landing was next – a building with lots of pretty lorikeets flying around inside! We love aviaries and being able to feed the birds. If you have a bird phobia, this is not the enclosure for you! It’s lovely inside this building, with big plants, rocks and water feature, for a brief moment I could close my eyes and imagine I was in the tropics! I know that we bypassed a lot of stuff on this visit – mainly because of the cold! But there is plenty to see in the foot safari area including penguins, lemurs, marmosets and more, plus play areas for kids…and adults with Go Ape, a tree-top adventure (extra charge). There are even swan boats that you can ride on the lake, and the Great Woburn Railway! 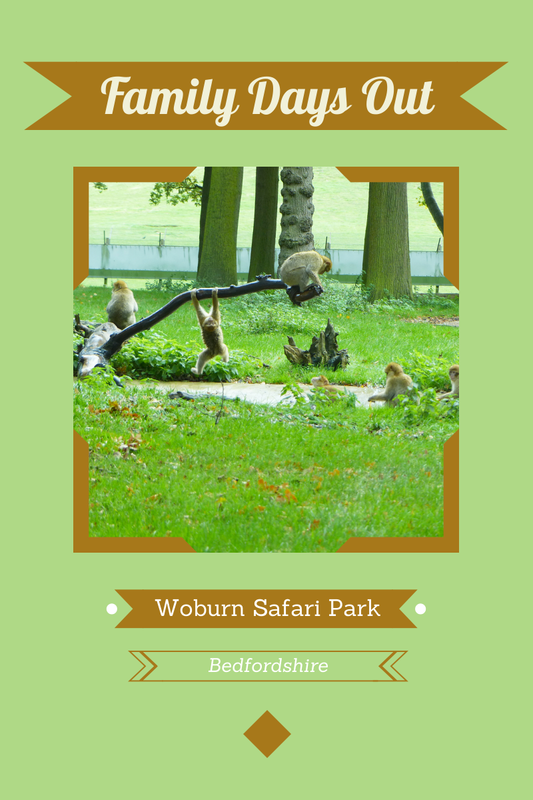 It definitely pays to check out the Woburn Safari Park website to help plan your day. Just looking at it now to help me write up this post, I’m shocked at how much we missed out! Looking at the time, we realised the keeper talking would be happening very soon at Elephant Meadow, knowing how up close you can get to the elephants here, I said we should brave the cold and we grabbed a couple of seats to wait for the elephants and their keepers to come out. Sadly, one of the elephants didn’t want to take part today, so whilst he lingered out on the meadow, the keeper brought one into the arena to show to the audience. They demonstrated how they teach the elephant to respond to things so that they can care for them – their feet, their tusks, their trunks etc. Was very fascinating to watch. At the end, the elephant is guided around the edge of the arena so that you can pet him if you wish. Amazing! I love elephants, they’re such giant creatures, but so majestic and gentle. By now it had started to spit with rain, so instead of going into Australia Walkabout to see the wallabies, we got back in the car to drive around and see the animals on the road safari again, before we made a move home. We had a great day out a Woburn Safari Park. This is our second visit, and we won’t be leaving it again so long before we go back again! Will try to get there one weekend when the weather is warmer so that we can explore more of the foot safari area and enjoy a picnic lunch outside! Don’t forget, you can see all of the photographs from our family day out on my Flickr. You can read part 1 of this post here where I shared our drive around the road safari at Woburn Safari Park.